Form Energy is developing a long-duration, low-cost battery that the company CEO says could set California a decade ahead of clean-energy goals. 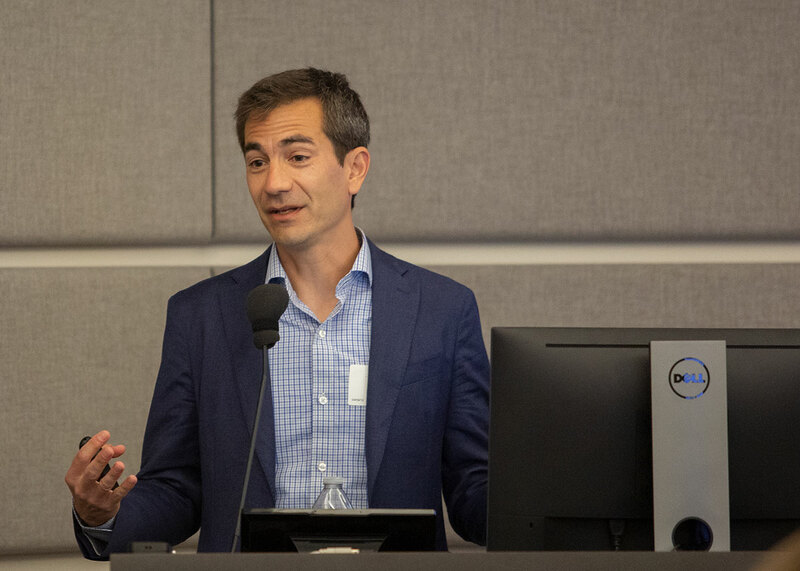 Form Energy CEO and co-founder Mateo Jaramillo shared his vision at a California Energy Commission talk in April. In further pursuit of the question, he served as executive-in-residence at the Cyclotron Road Fellowship Program, which received funds from the Energy Commission’s Electric Program Investment Charge program for its efforts to help innovators turn their ideas from concepts to a viable first product. Today, he believes long-duration batteries are a critical part of the answer. Bulk energy storage would enable the use of clean energy throughout the year, bridging gaps in renewable electricity supply that can last days or even weeks, while also playing a complimentary role in the intra-day storage needs as well. Jaramillo said Form Energy’s batteries, which are currently entering the engineering phase, will be able to cost effectively store and disperse energy across these timespans. To do that, the batteries would need to be about 10 times cheaper than lithium ion batteries and to truly be able replace natural gas, the battery elements must also be in great abundance, and the plant designs must be able to achieve large-scale production from the outset, he said. Jaramillo said batteries like Form Energy’s could help California reach Senate Bill 100’s carbon-free goals 10 years ahead of the 2045 target date. Form Energy expects to have a battery design ready for pilot plant demonstration in several years. Jaramillo said the company, which is currently working with stakeholders throughout the state, hopes to apply for funds from EPIC, which funds energy innovation research and deployment. A new communication tool may change the way electric vehicle drivers charge their cars and help them save money. The California Energy Commission supported the testing of the communication protocol with the goal to reduce peak energy demand. 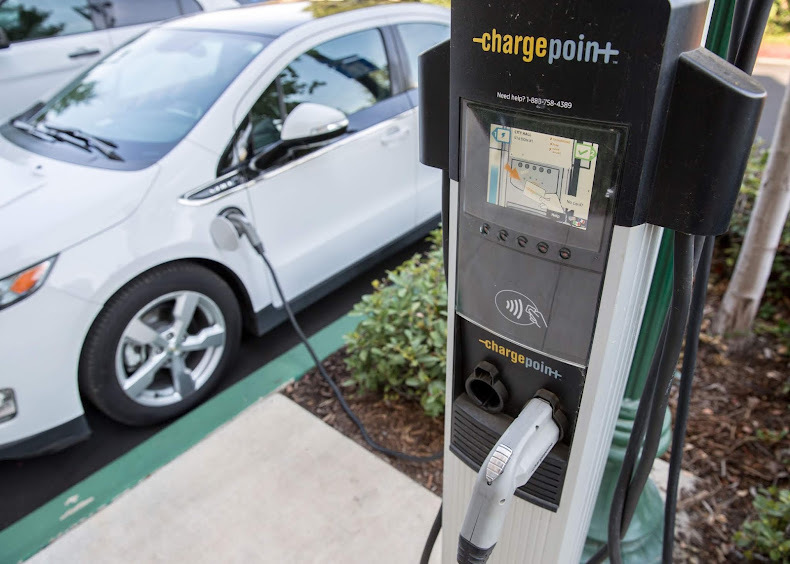 The Energy Commission’s Electric Program Investment (EPIC) program, which supports energy innovation research, provided ChargePoint funding for the demonstration project. During certain times of the day, the demand for electricity spikes, so incentivizing people to charge their electric vehicles during lower demand or higher supply will help balance California’s grid. The communication protocol project enables advanced-charging capabilities that offer more flexibility for drivers and utility companies to manage the electric vehicle charging load. The project gave 30 electric vehicle drivers the option to use personalized pricing depending on the time of day. San Diego Gas & Electric offered lower pricing during times when it was less costly to transmit the energy. Of the 1,000-recorded charging sessions, 58 percent of them were at the lower cost, producing an average annual savings of $467. The project provided good results on how effective managing charging schedules can be, according to Matthew Fung, project leader and mechanical engineer in the Energy Commission’s Energy Research and Development Division. “The benefits are, it simplifies the charging experience, making plug-in electric vehicle charging more user friendly, and saves money for the electric vehicle driver,” he said. The communication protocol, which enables communication between electric vehicles and the charging equipment, is used in Europe and Asia and is expected to be widely integrated in the United States with many products arriving in 2020. Fung said he hopes the new charging capabilities will motivate people to choose electric vehicles and reduce confusion about where and when to charge their vehicles. The Energy Commission’s EPIC program invests in innovation to help reduce energy costs and environmental impacts while ensuring a safe, resilient and reliable energy supply. California’s public utilities are showing promising signs when it comes to the transition to renewable energy. Senate Bill 350 requires California’s publicly owned utilities to update the public and regulators on their plans to progress toward meeting the state’s ambitious renewable energy goals at least once every five years, with the first ones to be submitted to the California Energy Commission in 2019. These updates, called Integrated Resource Plans (IRPs), offer a detailed look into how POUs across the state plan to pivot away from fossil fuels and expand their renewable energy sources, such as wind and solar. Anaheim Public Utilities, one of the larger POUs, indicated in its 2018 IRP that it is on track to significantly reduce its fossil fuels dependence. The report also noted Anaheim is on solid footing to meeting the latest renewable energy targets. The utility’s latest Renewables Portfolio Standard (RPS) report, which breaks down the various sources of energy used by Anaheim, lists renewable energy sources at 29 percent of its total energy portfolio for 2018. The number illustrates that the utility is on its way to achieving the clean energy goals set by Senate Bill 350, according to the plan. With SB 100, California utilities need to obtain 60 percent of its electricity from renewable sources by 2030. Anaheim indicated in its IRP that its future portfolio should have enough flexibility to absorb additional renewable energy purchases beyond the 50 percent RPS requirement. The plan said Anaheim’s sizable portfolio of clean energy will see sharp increases in the coming years thanks to the expansion of new solar power generating stations, as well as the utility’s divestment from coal power. Anaheim delivers more than 3.7 million megawatt-hours (MWh) of energy to 350,000 residents and more than 15,000 businesses across its service area. Three fire stations in Fremont are now prepared to keep emergency services flowing if the electricity grid shuts down. The technological advance was noted at a ribbon-cutting ceremony this month. 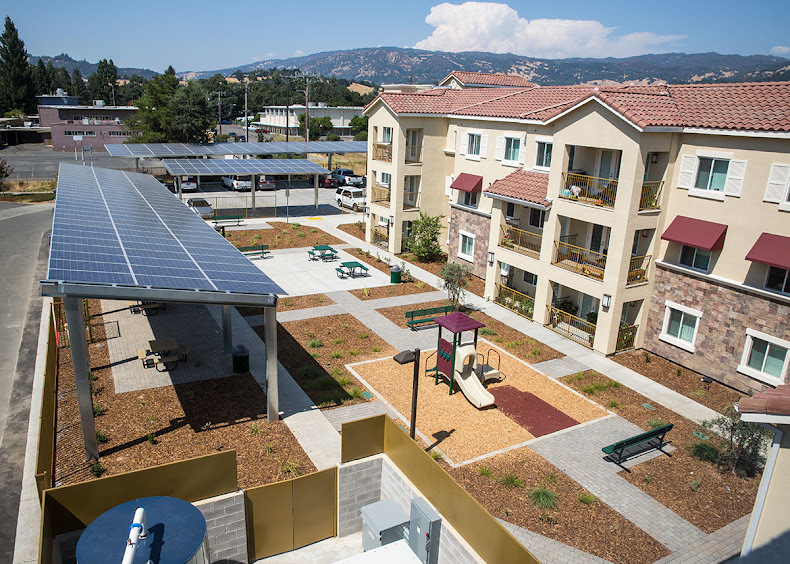 The trio of stations are equipped with solar panels linked to battery storage systems, a combination that operates as a microgrid because the power captured and stored creates a self-contained power grid. The majority of funding for the demonstration project in the East Bay city came from the California Energy Commission’s Electric Program Investment Charge (EPIC) program, which funds energy innovation research. Gridscape Solutions, a project partner that also provided funding, is deploying several microgrids at critical facilities. Gridscape said the Fremont project has prepared it to commercialize the technology for mass market adoption. The microgrids at the fire stations provide a local distribution of electricity, enable the stations to operate during a power outage, and use clean energy resources. It is a trifecta of resiliency, emergency preparedness and sustainability, said Christina Briggs, Fremont’s economic development director. 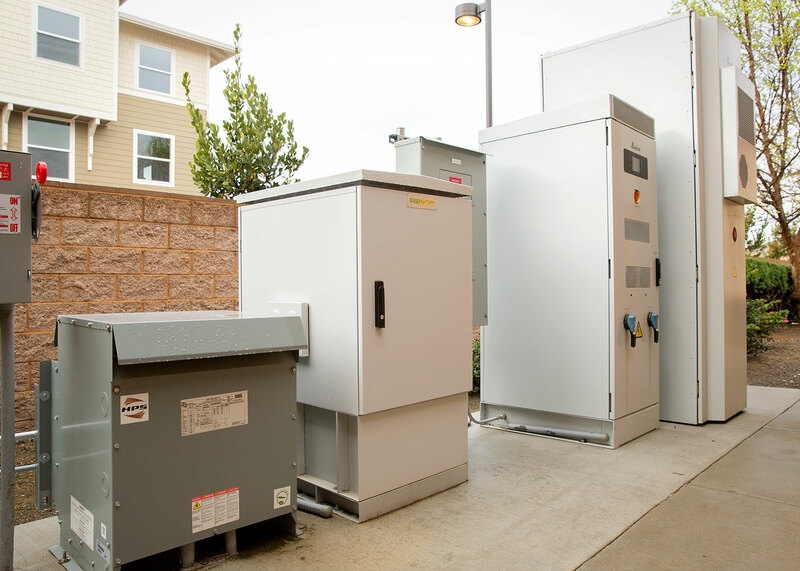 The microgrids are designed to provide at least three hours of backup power during utility outage. During one test at one fire station, electric power from solar and battery storage was provided for about 13 hours. The project will reap a range of benefits. 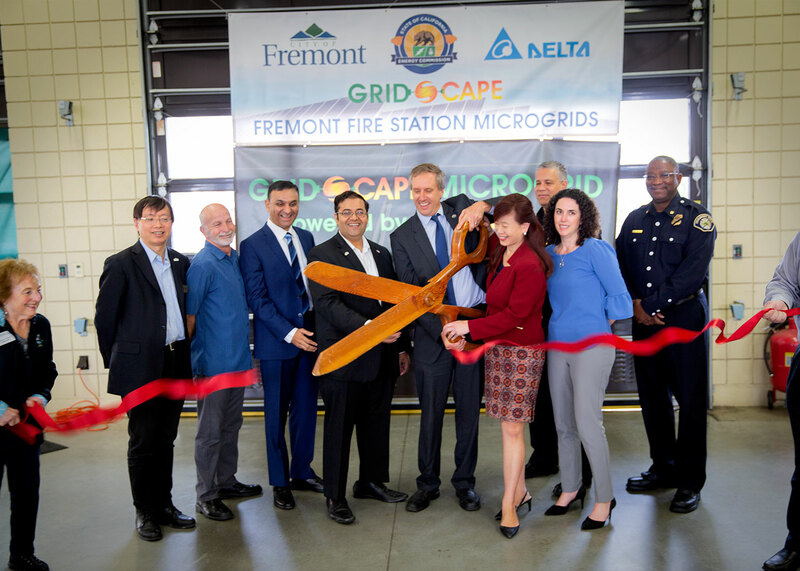 The microgrids are expected to save Fremont more than $250,000 over 10 years in electricity costs. The project will also help the city achieve its climate goals since the microgrids will reduce greenhouse gas emissions. The California Energy Commission is holding a series of workshops throughout the state in the next month to discuss and gather input on the 2019 California Energy Efficiency Action Plan. The 2019 plan, which will update the Existing Buildings Energy Efficiency Action Plan, will update efforts to double statewide energy efficiency savings by 2030 and maximize the contribution of energy efficiency savings in disadvantaged communities. The plan will address existing building energy efficiency, barriers to energy efficiency for the low-income and disadvantaged community, and using efficiency to reduce greenhouse gas emissions in buildings. Information gathered at the five workshops, which are scheduled for April and May, will be used to develop the plan. Highlights from the plan will be included in the 2019 Integrated Energy Policy Report. Workshop topics include efficiency in the multifamily, industrial, and agricultural sectors; building decarbonization, and building energy standards. Details about the workshops, including how to join in person or online, are here. An energy use interactivity company is changing how and when consumers use energy. The San Francisco-based OhmConnect bridges the gap between consumers and the energy sector by paying users to cut their electricity use during high demand times and shifting use to low demand times. Doing so improves resiliency on the electric grid. 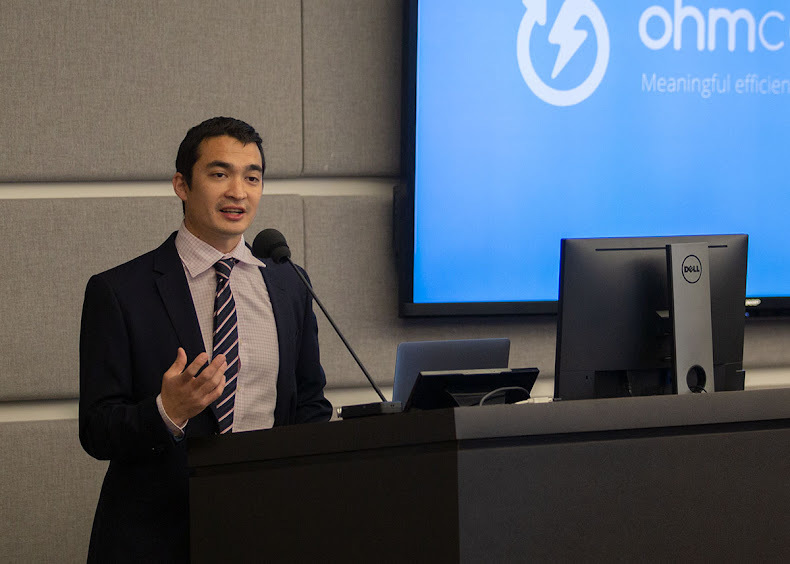 OhmConnect Co-founder Matt Duesterberg shared the company’s approach at a California Energy Commission talk in March. OhmConnect’s program was developed with help from a grant from the Energy Commission’s Electric Program Investment Charge (EPIC), which funds energy innovation research. Duesterberg said OhmConnect provides a smart energy network to home residents and pays them in points, cash prizes, and other rewards. Participants receive a text or email notifying them to save energy for a specified portion of the day and unplug. Some have even shut off their circuit breakers during the energy savings events, which are called OhmHour events. The company expanded from the energy industry to the general public, growing from 70,000 users in 2016 before the Energy Commission grant to nearly 500,000 users now. OhmConnect has since shifted from a grant-based model to an open-market model, Duesterberg said. A primary goal of OhmConnect is to provide meaningful efficiency for consumers to engage with the grid and green energy consumption. Money is the largest driver of OhmConnect participation. Competing against others and helping with climate change are other reasons. 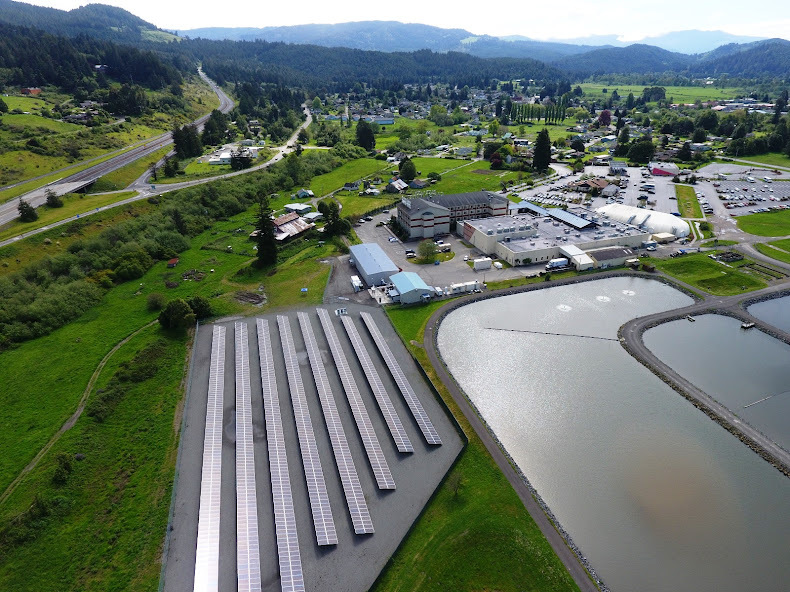 Since full commissioning in July 2017, the Blue Lake Rancheria microgrid continues to deliver stacked benefits to the tribal community and the Humboldt County region, which includes the ancestral territory of the Wiyot people. "This project shows the type of leadership and partnership that can advance California's climate and renewable energy goals, help transform our energy system and reduce greenhouse gas emissions,” said California Energy Commissioner Karen Douglas. In 2015, the microgrid received a $5 million grant from the Energy Commission’s Electric Program Investment Charge (EPIC) program, which is an energy innovation funding program. In 2018, a project adjacent to the Blue Lake Rancheria microgrid received $1.85 million in EPIC funding from the Energy Commission’s Solar+ solicitation, which includes demonstrations of facility-scale solar and storage projects. With technical support from the Schatz Energy Research Center at Humboldt State University, the natural disaster-prone reservation now has a constant source of reliable energy, independent of the larger grid. 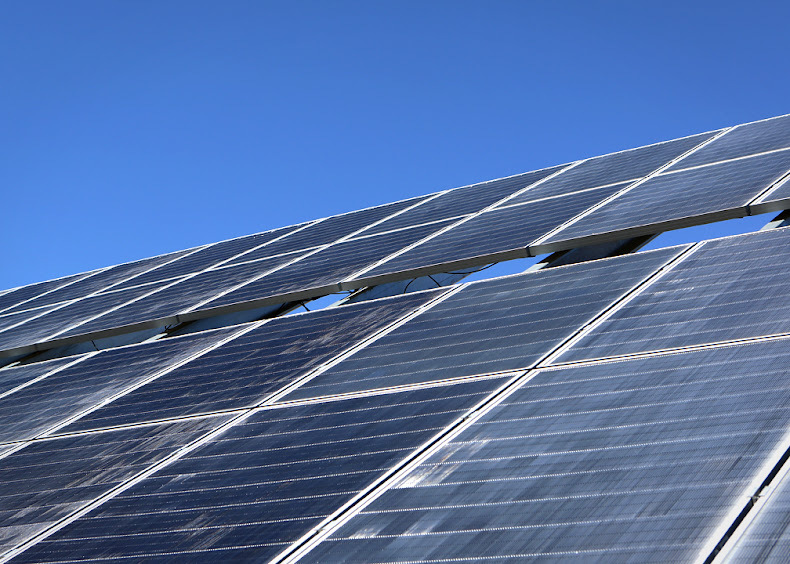 Using small-scale electrical systems such as solar photovoltaic (PV) panels and batteries, the microgrid generates 420 kilowatts of solar PV to supply its government office, event center, casino/hotel, emergency facilities, and other infrastructure. The community saved more than $160,000 in electricity costs in 2018, increased clean energy related jobs by 10 percent, and reduced carbon dioxide emission equivalent by around 200 tons a year. The microgrid is also used as a learning lab for students of all ages. Students at Humboldt State University have researched many aspects of microgrid, including the current social and battery storage expansion, said Ganion. “These students inform what we implement, which is exciting for us and for the students to see their hard work come to fruition." Throughout project development, the Rancheria overcame integration and communication challenges between utilities, vendors, and the microgrid. The Hula Community Park and Toma Resilience Campus are two follow-on projects in development that the microgrid will power. Hula means water and Toma means sun in the Wiyot language. The park will be an outdoor venue with synthetic turf playing fields and other outdoor amenities. The 20,000-square-foot campus will include a business incubator, makerspaces, small manufacturing facilities, a commercial kitchen, a training/event venue, and a retail store for emergency supplies. The facility will help attract more decarbonized resilience programs, trainings, and innovation to the region. Photo courtesy of Siemens USA. 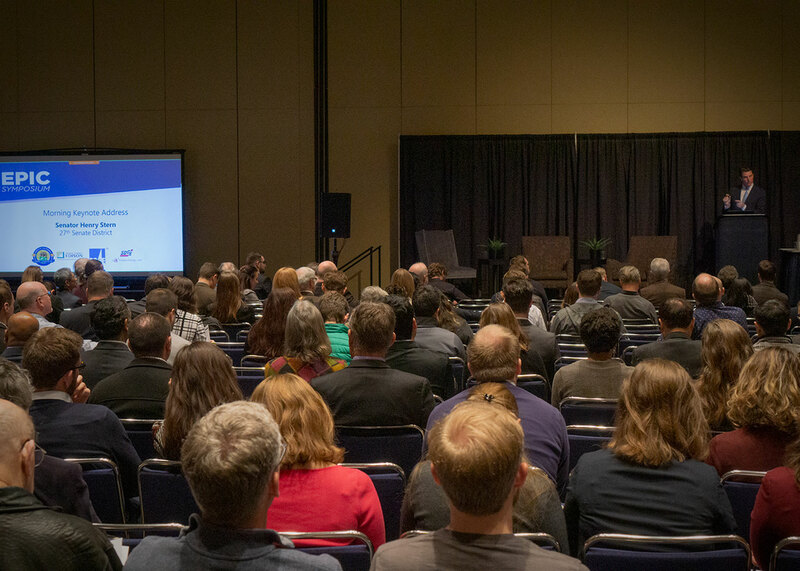 A panel of researchers and business leaders at the California Energy Commission’s Electric Program Investment Charge (EPIC) symposium discussed how improved storage technology could help speed the state’s transition to a clean energy future. The Feb. 19 event at the Sacramento Convention Center drew more than 800 people, including industry leaders, innovators, and entrepreneurs. 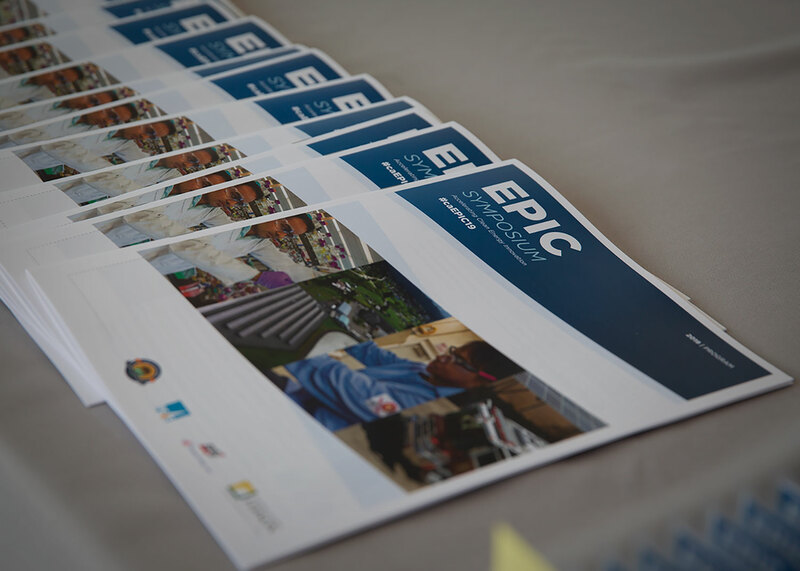 The symposium showcased projects funded through EPIC, an energy innovation funding program established in 2011. Lithium-ion batteries are the market leader in energy storage technologies, driven largely by the growth of consumer electronics and electric vehicles. However, the batteries rely on materials with future supply issues, has a history of thermal management issues, and does not have a documented long-term performance history beyond five years. These issues raise concerns about whether lithium-ion is the best fit to meet the all expected global demand for energy storage. California must diversify energy storage options to help create a smarter grid, said Byron Washom, director of strategic energy initiatives at the University of California, San Diego. “I can’t emphasize the importance of research and development,” Washom said. Moderator Edward Randolph, deputy executive director of energy and climate policy at the California Public Utilities Commission, asked panelists how their technologies provide an alternative to lithium-ion batteries. Eos Energy Storage offers a zinc hybrid cathode battery under the trademark name Zynth. Zynth is an aqueous, zinc-based battery technology that is nonflammable, fully recyclable and cost effective, said Philippe Bouchard, Senior Vice President of Business Development and Marketing for Eos. Eos received Energy Commission funding for two energy storage projects. The location for the project that tests a distribution level application has not been determined, while the project for a residential and small commercial application will be tested at UC San Diego. Bouchard said the EPIC program funds made a difference in the technology growth for his company. “With the support, our concept and prototypes have developed into manufactured products that will continue to improve the way California stores energy,” he said. Sulfur is a byproduct of oil refineries. Molten sulfur can be used for thermal energy storage, help reduce fuel waste, and is cheaper than lithium-ion batteries, said Richard Wirz, chief scientist and co-founder of Element 16. In 2012, the Energy Commission funded a project involving Wirz and his team at UC Los Angeles that demonstrated sulfur as a low-cost thermal energy storage fluid, which proved to be effective and durable, he said. Rick Winters, CEO of UniEnergy Technologies, talked about his company’s vanadium flow batteries, which outlast and outperform the leading lithium technologies that degrade 15 to 20 percent over a year. Flow batteries use aqueous electrolytes that are non-flammable and non-reactive with water, making it safer than lithium-ion batteries, which have caused fires, Winters said. Laurence Abcede, manager of distributed energy resources at San Diego Gas & Electric, discussed a vanadium redox flow battery storage project at the company’s San Miguel Substation in South San Diego County. The demonstration project, which is a collaboration with Sumitomo Electric and New Energy and Industrial Technology Organization (NEDO), is testing the technology for its ability to enhance grid reliability, integrate more renewable energy and increase flexibility in grid operations.